This V 62 - S has been very well-maintained by her captain. She comes with the Caterpillar C18 offering 2 x 1150 HP !!! Her inventory includes a powerful generator, hydraulic bathing platform, variable speed bow and stern thrusters, batteries charger, satellite TV antenna, ice maker in saloon, reversible a/c in each cabin, a safe, teak flooring in cockpit (new 2018), williams 325 Turbojet tender.. 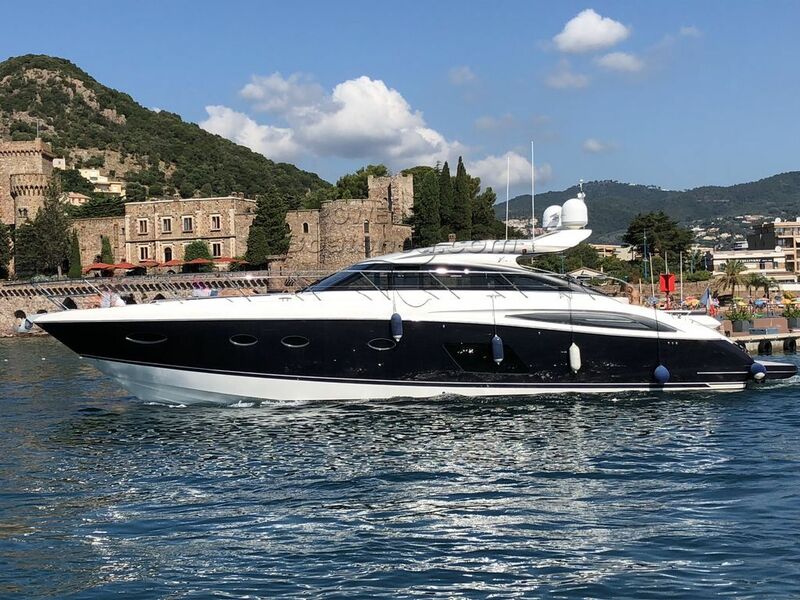 This Princess 62 S Sport has been personally photographed and viewed by Antoine Perrin Daragon of Boatshed Riviera. Click here for contact details.